The campaign will be for duration of 1.5 months from May 1st to June 15th. The goal of the campaign is to create awareness about the quality of learning. Volunteers will conduct classes during this period for children to learn Tamil reading and math skills. Every child who is able to read words and perform addition operations are given “I can” certificates. 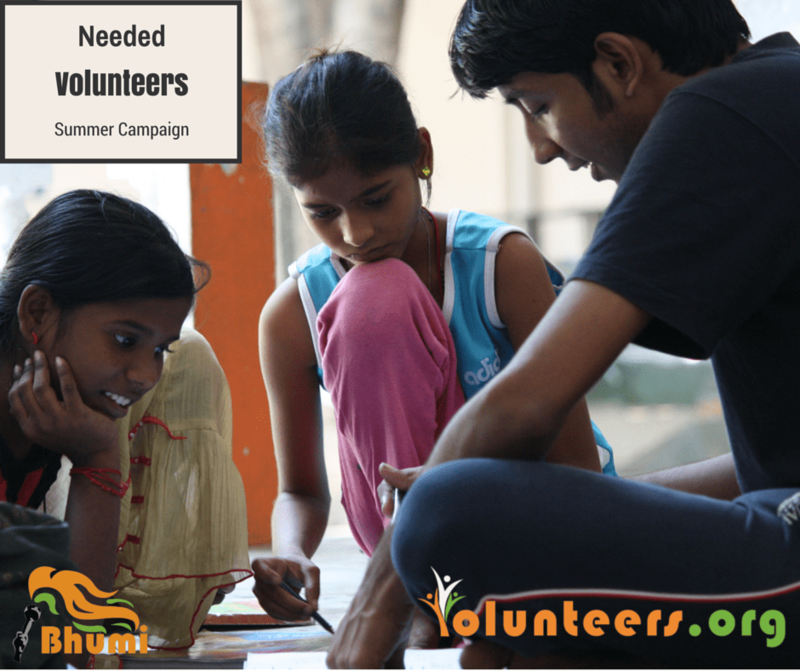 Volunteers will be provided the necessary training by Bhumi & AID India (Eureka Child) coordinators. The volunteer on the first visit would gather the children and assess them on Tamil reading and Math arithmetic skills. Children who already have these skills will be given certificates and nominated as “Young Teachers”. These young teachers will be responsible for 4-5 other children who are yet to attain these skills. The volunteer facilitator along with the young teachers will conduct classes for the children. At the end of the campaign period Bhumi will help you organise a community event where the children will demonstrate their skills. Each of the centers will be given a kit with skill chart, interesting games, puzzles and worksheets that can be used to teach and track the children.